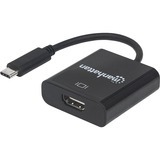 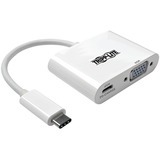 The ViewPro-C USB-C 4-in-1 Video Adapter converts a USB-C connection to an Ethernet network connection, HDMI output, VGA output and a USB Type-A port. 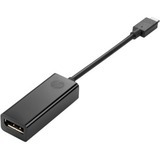 Connect your USB-C based Notebook with a single cable and simultaneously use all 4 outputs. 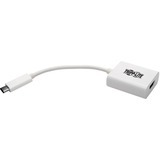 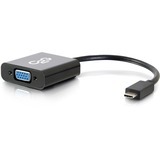 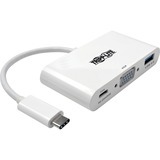 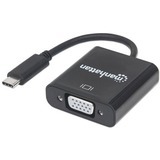 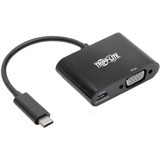 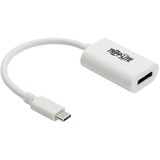 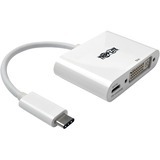 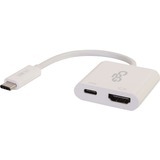 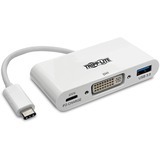 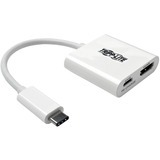 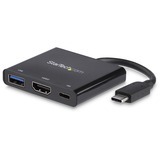 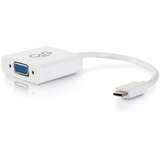 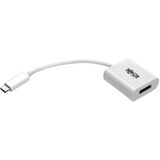 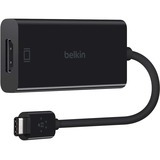 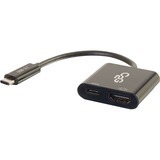 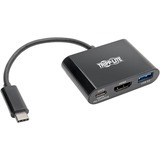 This all-in-1 adapter enables your USB-C or Thunderbolt™ 3 based Notebook or Tablet to connect to a HDMI / VGA display or projector, USB peripherals, and is also compliant with DisplayPort™ specification 1.2 alternate mode. 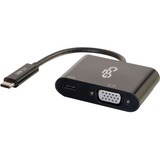 Display crisp and sharp content while the adapter's specially engineered 6-layer PCBA design reduces signal distortion and electromagnetic interference from surrounding sources, for an uninterrupted viewing experience. 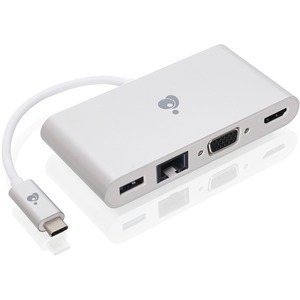 You can also easily connect a standard RJ-45 Ethernet cable to deliver Internet and network access at up to Gigabit speeds (1000Mbps). 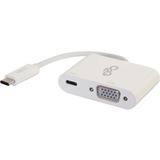 The adapter adds a RJ45 Ethernet port to your computer giving you access to a high performance Ethernet network. Leveraging the high bandwidth of USB 3.1, this adapter ensures true, reliable 10/100/1000Mbps network speed** for buffer-free movie streaming, online gaming, data transferring, video conferencing and internet browsing. 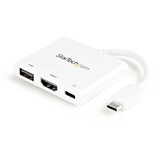 Connect USB devices like a hard drive, flash drive, camera, mouse or an USB cable for syncing and charging your smartphone or tablet. 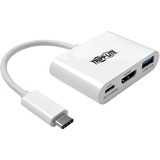 Transfer data, pictures, videos and music from your existing USB Type-A accessories to your USB-C device at blazing fast speeds. 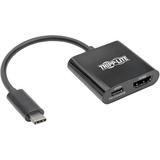 Output high definition VGA video from your USB-C device straight to a VGA supported monitor, display or projector. 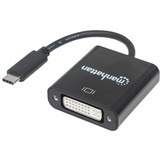 The ViewPro-C's VGA output enables resolutions of up to 2048x1152 and allows you to stay connected to your legacy display, TV or projector.